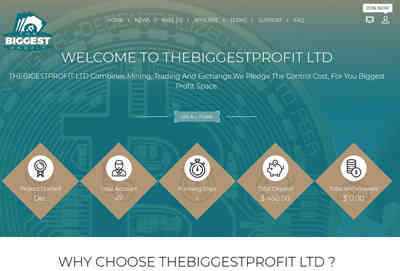 Memo: Withdraw to analysis from THEBIGGESTPROFIT LTD.
23.12.18 10:20;Account;Receive;Received Payment 1.32 USD from account U17104718 to account U1294000. Batch: 240378953. Memo: API Payment. Withdraw to all-hyips.info from THEBIGGESTPROFIT LTD.
24.12.18 13:19;Account;Receive;Received Payment 1.32 USD from account U17104718 to account U1294000. Batch: 240474613. Memo: API Payment. Withdraw to all-hyips.info from THEBIGGESTPROFIT LTD. The amount of 2.2 USD has been deposited to your account. Accounts: U17104718->U2917300. Memo: API Payment. Withdraw to hyipregular from THEBIGGESTPROFIT LTD.. Date: 13:19 24.12.18. Batch: 240474611.